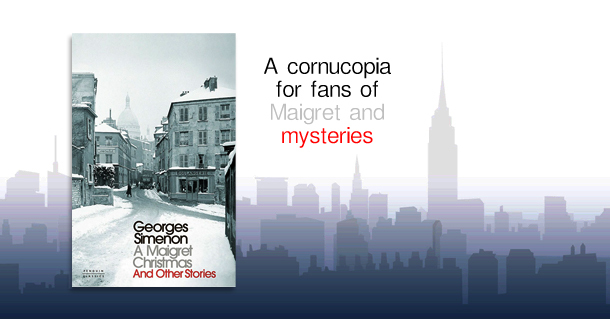 Inspector Maigret must solve a series of little mysteries—just in time for Christmas morning. Christmas mysteries abound in this light-hearted holiday collection of Jules Maigret’s exploits: In one, an otherwise sensible little girl insists that she has seen Father Christmas, a statement alarming to her neighbors, Monsieur and Madame Maigret. Then, a choirboy helps the inspector solve a crime while he lies in bed with a cold; another boy, pursued by a criminal, ingeniously leaves a trail to help Maigret track him. Many of these stories feature observant and resourceful children, frightened yet resolute, who bring out a paternal streak in the childless Maigret.